The SK01-D2 is a simple low-cost pyranometer. 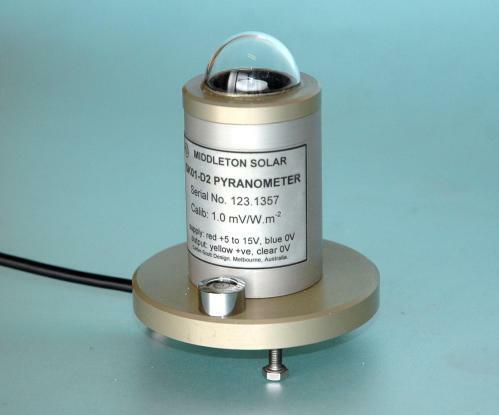 The SK01-D2 is a simple pyranometer for monitoring total solar global radiation on a plane surface. The SK01-DP2 version incorporates a special interference reflector to limit its sensitivity to the Photosynthetically Active Radiation region of the solar spectrum (400-700nm). Hard anodized aluminium for corrosion resistance. In-built signal amplifier to give a millivolt output for easy measurement. Circular level and adjustable feet. Sealed to IP67 and fully weatherproof.